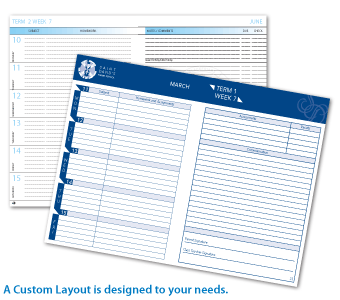 If you are after a quote for less than 2,000 you may use our price wizard below. If you are after features not listed in our wizard, please contact us. 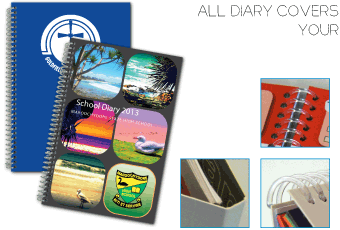 Looking for a quote on a large volume of diaries? If so, please email your specifications to us and we will respond ASAP. 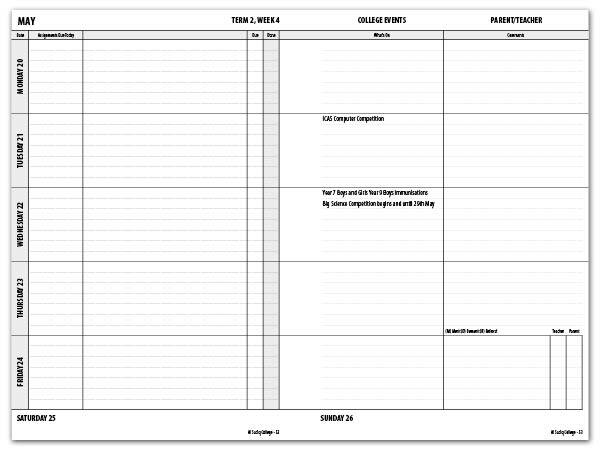 If you don’t know the specifications of your current diary or if you would like a comparison quote, simple send us photos of your diary and we can quote from that. 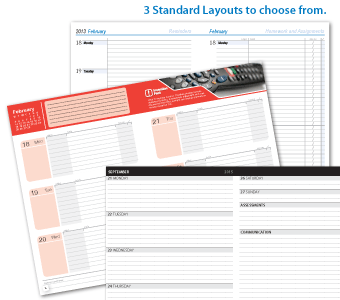 The price wizard here has been optimised for tablets and desktops only. If you are using a mobile device, why not see if we are online and chat with us – we won’t bite! The wizard is yet to be updated to include the Wellbeing costs. 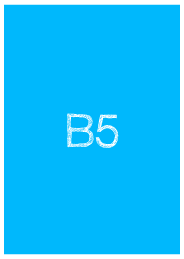 These can be viewed at the bottom of this page. 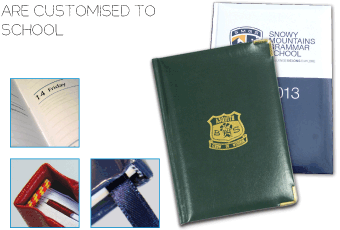 Our full custom diaries are individually tailored to meet your needs and requirements. 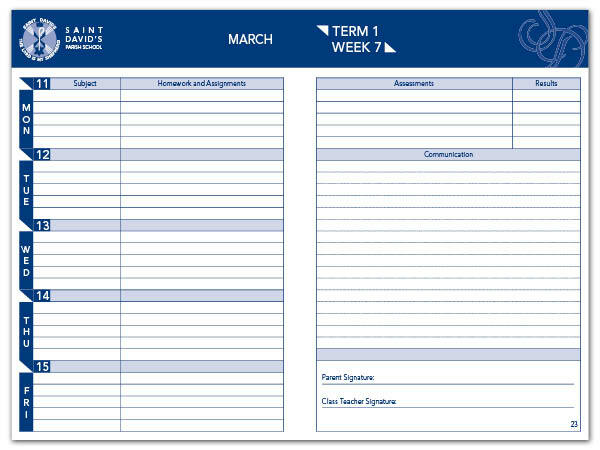 These diaries are best considered as a blank canvas you can design as you wish. Our standard diaries may be personalised with your own artwork. 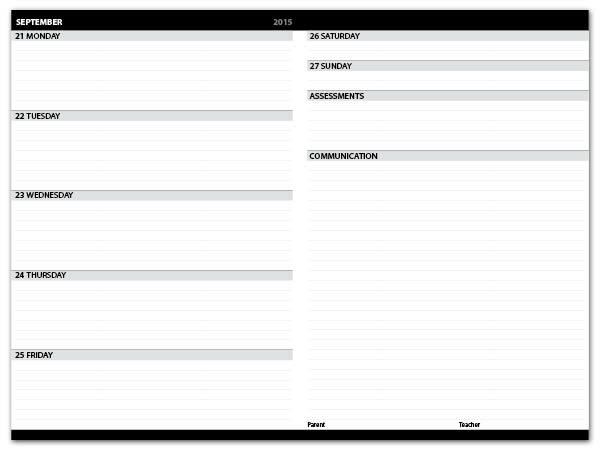 The only component which is standard is the main diary layout. 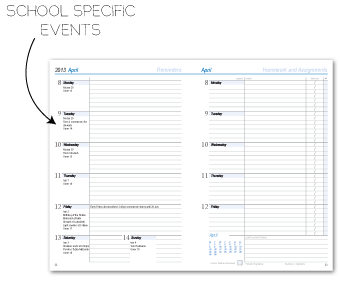 Spiral Bound diaries feature a robust plastic spiral binding that stands up to the wear and tear of any student. Our plastic spiral is crush proof! 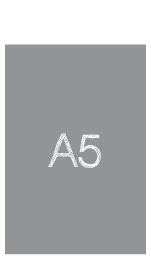 Covers can be printed in full colour on laminated card stock or a durable PVC in a range of colours with your logo printed on it. Book bound diaries are stylishly elegant, yet sturdy. They have section-sewn pages, head/tail bands and a book-marking ribbon. The cover can be full-colour custom artwork. Or you can choose to have your logo stamped in gold or silver. 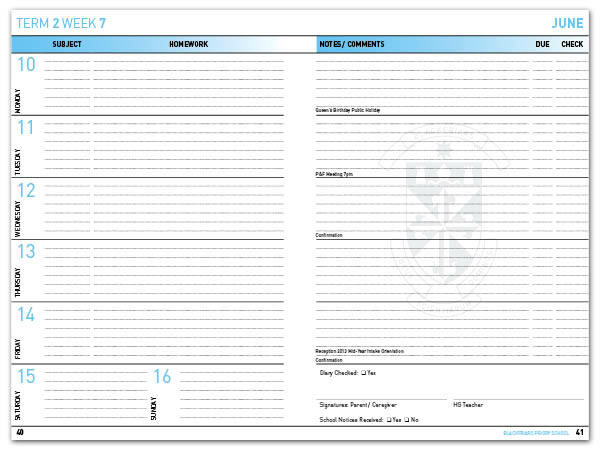 A custom diary can be printed to almost any other size. 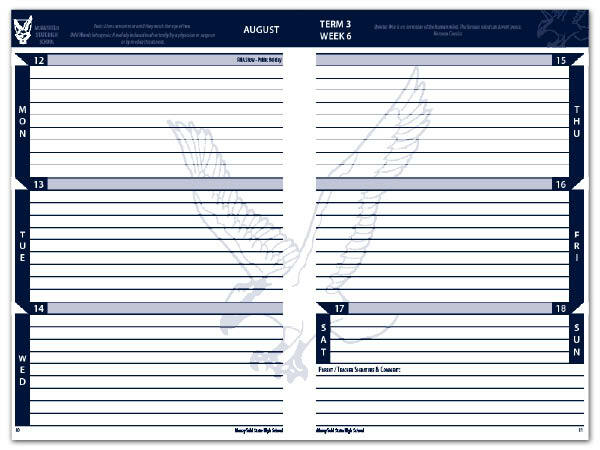 Custom diaries may have as many information pages as you desire and can be printed in any colour or on any stock providing you with endless options. 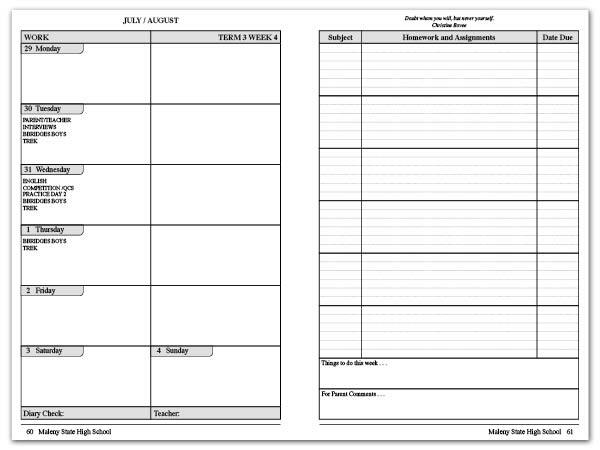 You may include as many pages of your own information as you like within our standard diaries, bind some at the front and others at the back - it's your choice! 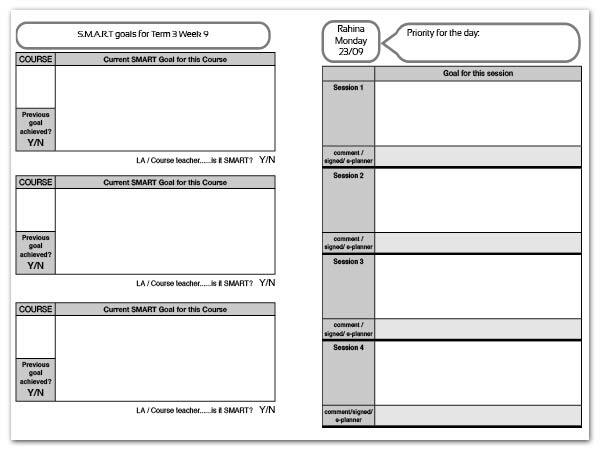 Standard diaries allow for the inclusion of timely reminders for students of upcoming events such as 'Pupil Free Day' or 'Sports Carnival' within the daily diary layout. 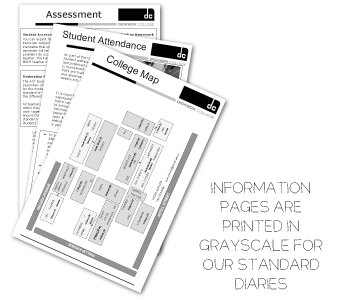 High School version has 32 pages and Primary has 16 pages. A plastic sleeve is a great place to carry CD's or DVD's and important documents with safety. 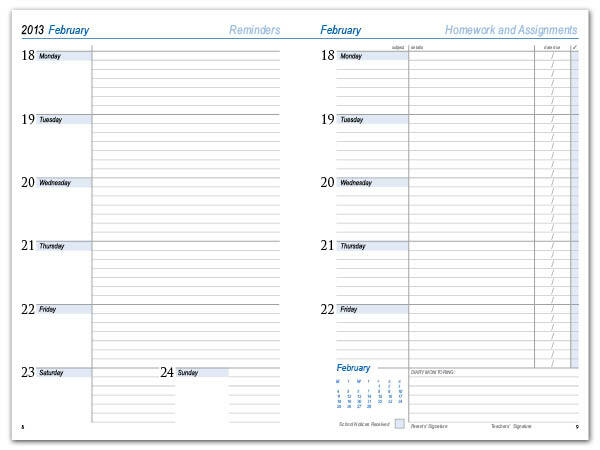 To protect your diary from wear and tear you may decide to have a clear PVC Jacket which your diary is inserted into. 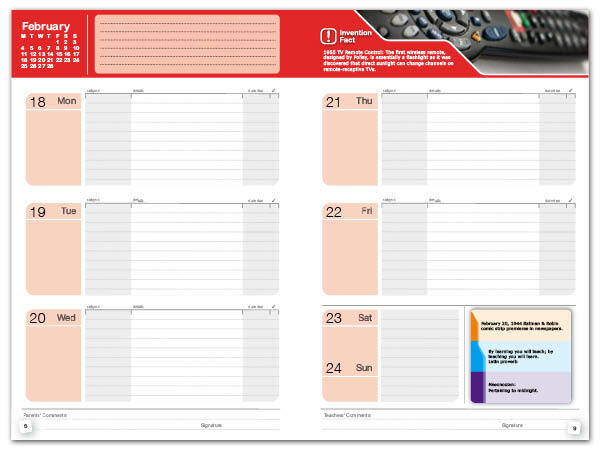 A page of sticker to mark particular days and dates. Would you fix up the items on the list below, then click the 'Get a quote' button again.